NORTH DELTA — They have played against each only one time, and yet as each counts down to Saturday, the final day of their respective high school basketball careers, maybe it’s no surprise that they have already formed a mutual admiration society. 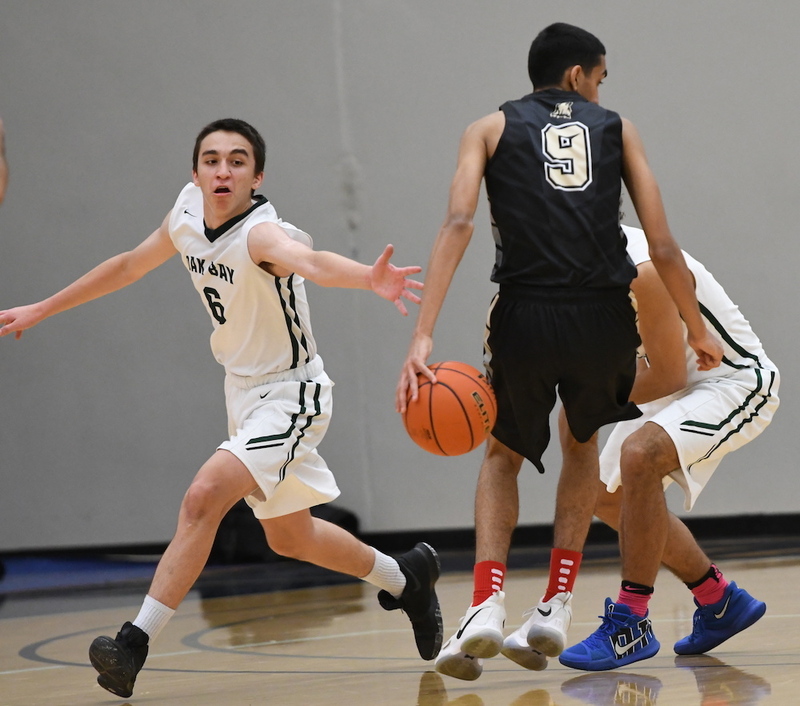 Off the court, Oak Bay’s Diego Maffia and North Delta’s Suraj Gahir showed themselves to be understated and thoughtful basketball souls. On the court, they were the equivalent of classically-trained musicians, each so fundamentally skilled, yet each so virtuosic in their ability that over the course of this past season, they seemed to take turns dropping the collective jaws of the provincial fan base. From Maffia’s otherworldly B.C. 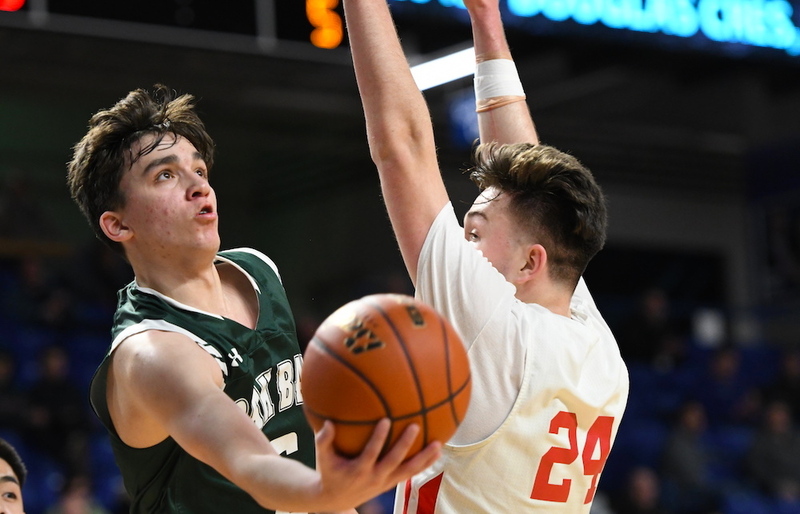 single-game record 96-point performance to Gahir’s clutch, last-second rainbow three-point winner in the provincial AAA semifinals, they were the driving force behind some of the 2018-19 season’s most compelling storylines. Now, on the final day of their high school careers, they will face each other for just the second time, as a part of Saturday’s B.C. high school all-star weekend festivities at Surrey’s Semiahmoo Secondary. Maffia will suit up for the B.C. Quad A all-stars as they oppose their Triple A counterparts, including a hobbled Gahir, whose sore ankle may well restrict him to a much smaller role that he would have liked. Tip-off time for the featured finale is 7:30 p.m. The Single A vs. Double A game tips off at 5 p.m.
Their only previous meeting came in the opening round of the 2017 Tsumura Basketball Invitational. Earlier this week, as Varsity Letters reached out to the pair individually, it was immediately apparent how much of a shared respect exists between two of our game’s finest, each of whom averaged over 30 points-per-game this season. “Definitely, he’s such a great scorer,” began Gahir. “Ninety-six points? Not many can do that. This year, I really wanted to play against him but we just never got the chance. I’ve talked with him in the past. He’s a nice guy. 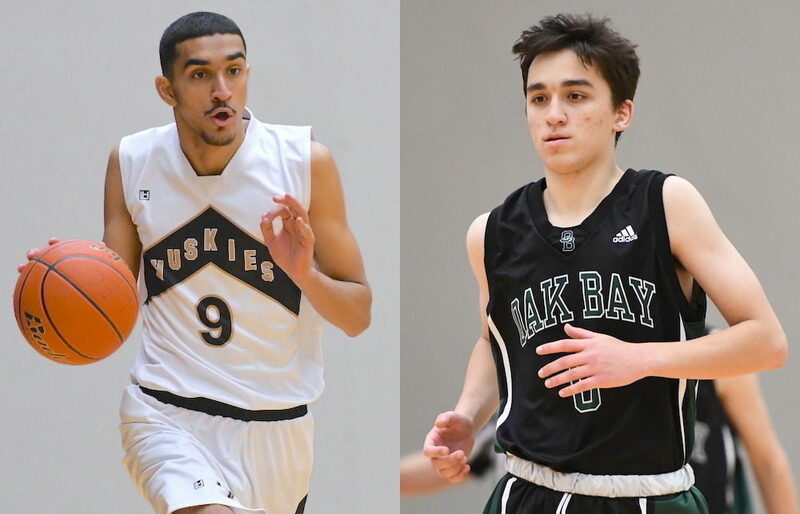 For the record, each was a Grade 11 player when Oak Bay met North Delta on Dec. 7 of 2017 in the first rounbd of the TBI. Maffia scored a game-high 23 points that day as the Bays cruised past North Delta 94-48. 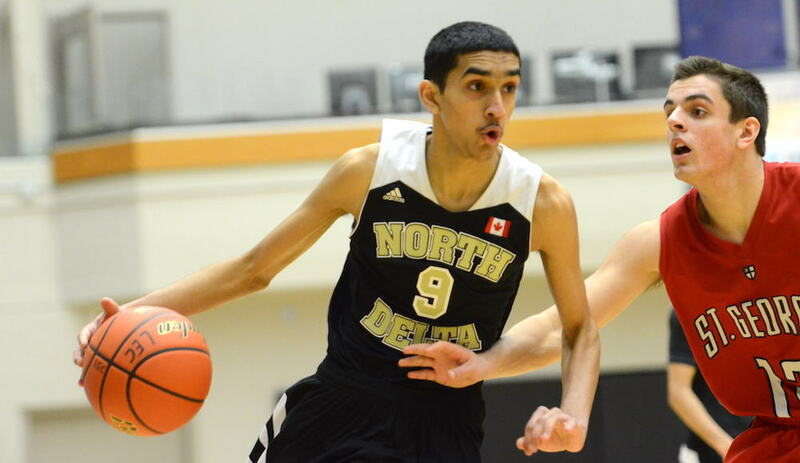 Gahir scored 18 points to lead the Huskies. And while they didn’t primarily guard each other in that game, each has a great scouting report on the other. The only damper on the festivities is, of course, Gahir’s compromised ability to get on the floor for anything resembling extended minutes. Either way, the symbolism of the moment won’t be lost. It will be impossible to look back on a 2018-19 season filled with incredible memories without thinking about two classy young student-athletes, both among the best we’ve seen , who did everything the right way.